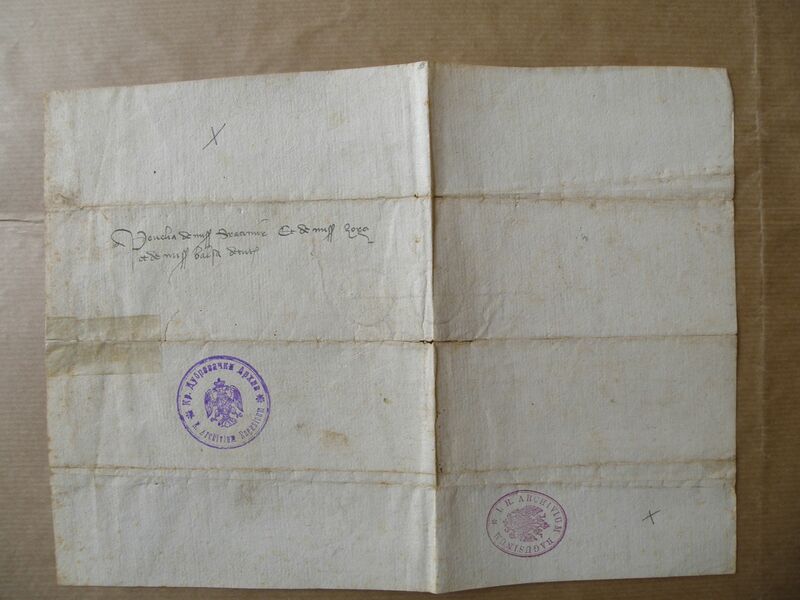 Stracimir, Đurađ and Balša Balšić write to the Dubrovnik authorities that they have granted the request of the Dubrovnik envoy and abolished the customs post at Dagno (copy). Državni arhiv u Dubrovniku, Prilozi arhivskim serijama IVa, 50. 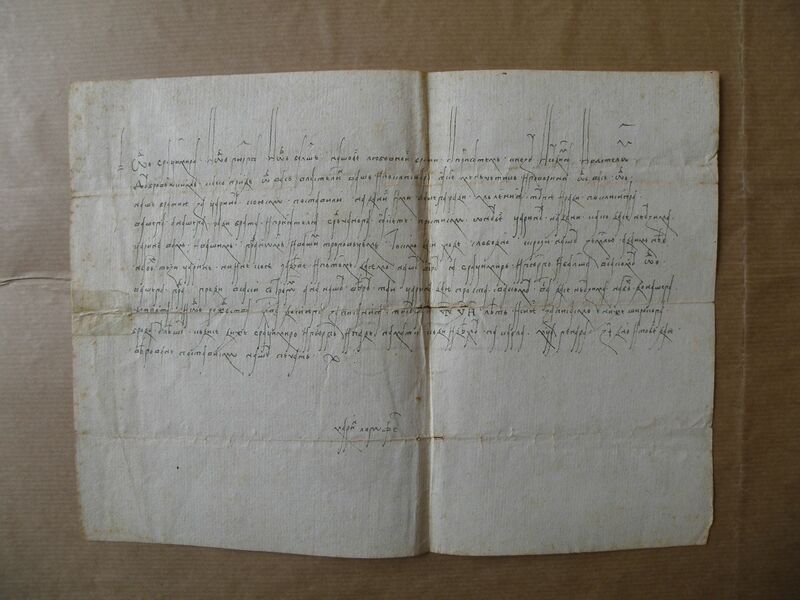 Original dating clause: From the birth of Christ to this inscription one thousand and 368th year … when Stracimir and Đurađ set out and camped on the Mat, marching against Karlo, in the month of January, 17th day. S. Rudić, SSA 9, 96 (only color photo).